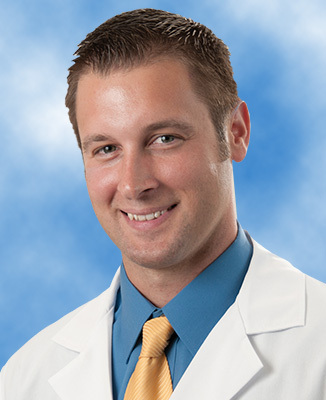 Peter J. Alasky, IV D.O., specializes in Primary Care Sports Medicine at UHC Orthopaedics. He received his medical degree from West Virginia School of Osteopathic Medicine in Lewisburg, WV, and a bachelor’s degree in biology and chemistry from Alderson-Broaddus College in Philippi, WV. Dr. Alasky completed his family medicine residency at United Hospital Center in Clarksburg, WV., and then obtained additional training by completing a primary care sports medicine fellowship at The Toledo Hospital Primary Care Sports Medicine Residency in Toledo, Ohio. He has expertise with athletic and sports related injuries and specializes in the non-operative medical treatment of musculoskeletal sports conditions as well as treatment of arthritis. Most sports injuries are non-surgical and may include ankle sprains, muscle strains, knee and shoulder injuries, fractures, tendonitis, and stress fractures. Dr. Alasky is certified in musculoskeletal sonography (RMSK) and uses ultrasound imaging to perform ultrasound to diagnose and treat musculoskeletal pain and injuries. During his fellowship, he was the assistant team physician for The University of Toledo Division I athletes and The Toledo Walleye minor league hockey team. He is a member of the American Osteopathic Association, the American Osteopathic Academy of Sports Medicine and is the team physician for Fairmont State University.